Before heading out, test the lights, turn signals, and brakes of your motorcycle. Also, check the fuel and oil levels. Make sure to lubricate the chain and adjust it as needed. Check all cables to ensure they have not frayed in the winter. Most importantly, enroll in a rider-training course so that you can refresh your memory of the rules of the road. This can also land you a substantial motorcycle insurance discount. ALWAYS wear the proper gear, even if you are only running an errand down the street. You must be aware of your bike’s limits, and your own limits as well. Make sure to always use your signals and never tailgate other vehicles, as this is when you enter the danger zone. Most importantly, respect others on the road and always remain aware of your surroundings. 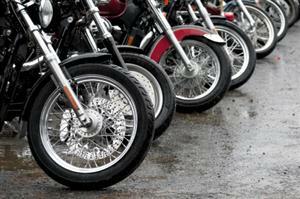 Contact Pierce Insurance Group in McKinney for all of your Texas motorcycle insurance needs.